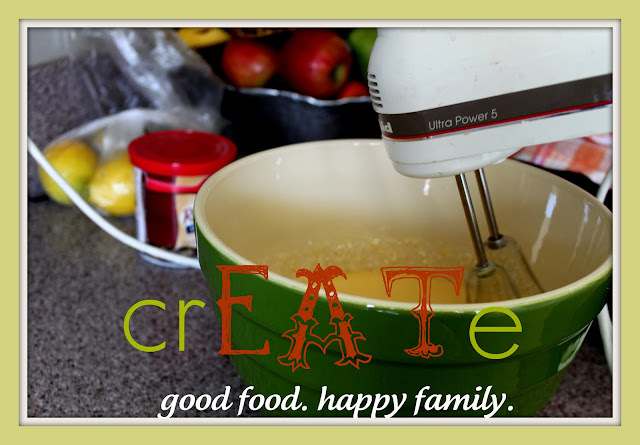 is having a fun new blog hop about family food!! and then click over and see what other mom’s are cooking at Nancy’s blog! So bare with me as I try to put this in recipe form! 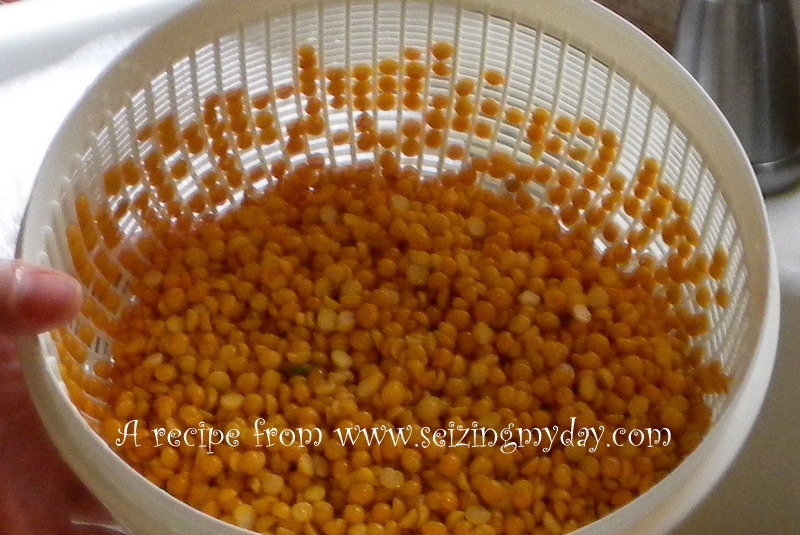 Buy a small (not tiny) bag of yellow lentils. I left the tomatoes out ~ oh and the barley which I recently found irritate my digestion! and it was delish without them… =) so leave those out! sorry they are even in the picture ~ I changed my mind mid cooking! which should be hanging out on low right now. 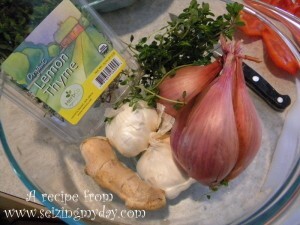 with a little garlic, onion and herbs… lots of herbs … the fresh thyme and oregano! 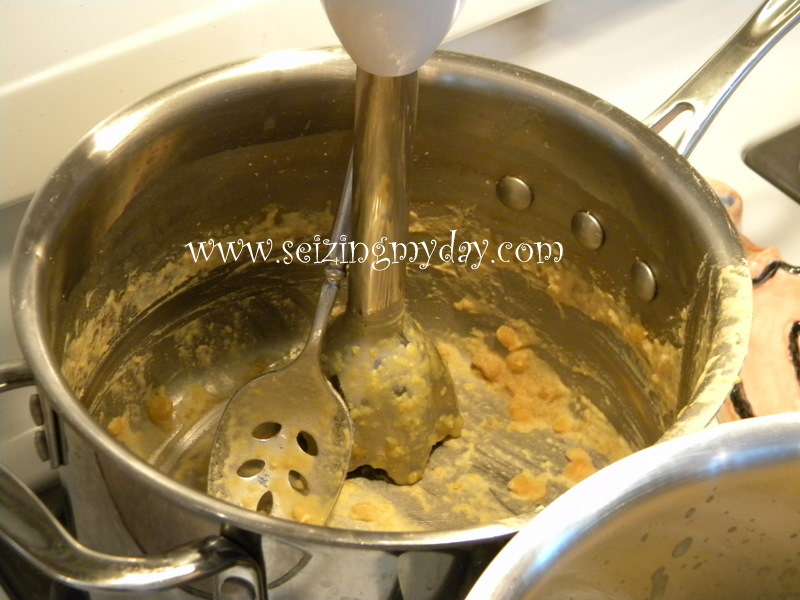 continue to stir while doing this as you don’t want it to burn stick to the bottom of the pot! Then Puree the lentils, liquids, sauteed veggies and corn. Though a few items are going to be hard to part with..
after you loose said parent. just sayin… its hard. but I personally don’t like the veggies chunky in this one. right. right. good then. the only chunk I like in this soup is chicken. Which brings me to KIDS. Most kids would enjoy this soup! well.. she won’t eat it. one out of two ain’t bad. right. 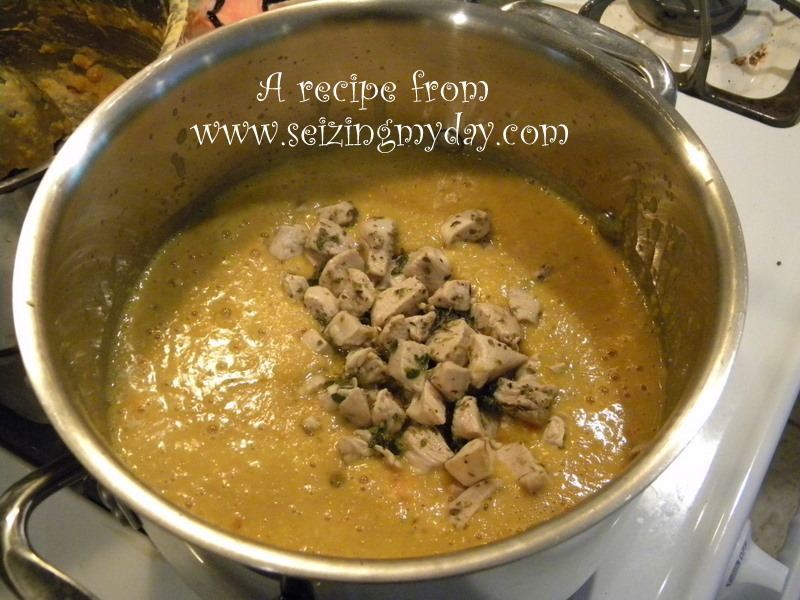 Go make this soup and Enjoy it all by itself ~ or over rice ~ or little red potatoes!! I like the potatoes chopped kinda small and baked… if I choose to eat it with potato. 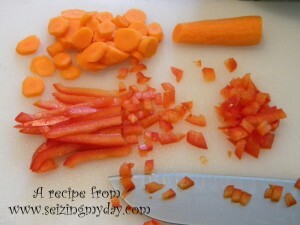 Shop, chop, cook, puree, saute and Eat!! or maybe I will wait until the weekend while I am kid and hubby free???? Oh ~ should I try and write this in real recipe format for y’all ?? Rinse lentils and cook as directed. Keep lentils in juices after ~ do not ever drain. 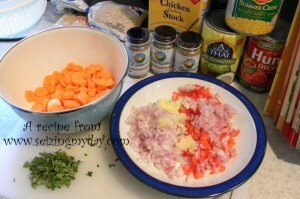 Chop and saute all veggies, garlic, ginger with 1/2 the fresh herbs. Put in pot. Put coconut milk, cumin, curry and corn into pot. Saute chicken with a little garlic, ginger and 1/2 fresh herbs. Set chicken aside. Turn up lentil soup boil for a minute or two stirring constantly. 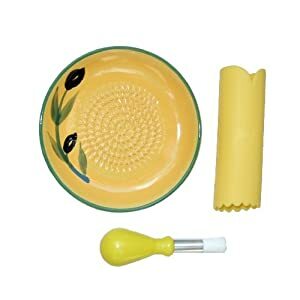 Turn off soup and puree with a lovely handblender. Add chicken. Stir. Serve and Enjoy! wow ~ that was easy ~ but less funny don’t ya think? ha ha! 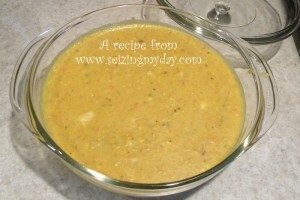 If you cook and enjoy this recipe ~ please let people know you got it here !! Do you know what I’m cooking for dinner? Ummm….No, I mean…DO YOU KNOW…because I really don’t at this moment…I was hoping YOU did…. hello dear, hope you’re having a lovely afternoon! mmm, we love lentil recipes! I’m going to bookmark this! thanks! I was just saying to Neil that I want to make more soups! P.S. Thank you! Thank you! Thank you! I so LOVE my package. As soon as I opened it, Neil said, “Oh…you’re gonna love that!” The scent is amazing. And, Sam was sooo excited about the clover. He’s always looking for them. That looks like my kind of meal! I’m so happy with a bowl of soup and I love curry! That does look good. All of you that cook so much..inspire me. Thanks for the recipe. This recipe looksdelish! 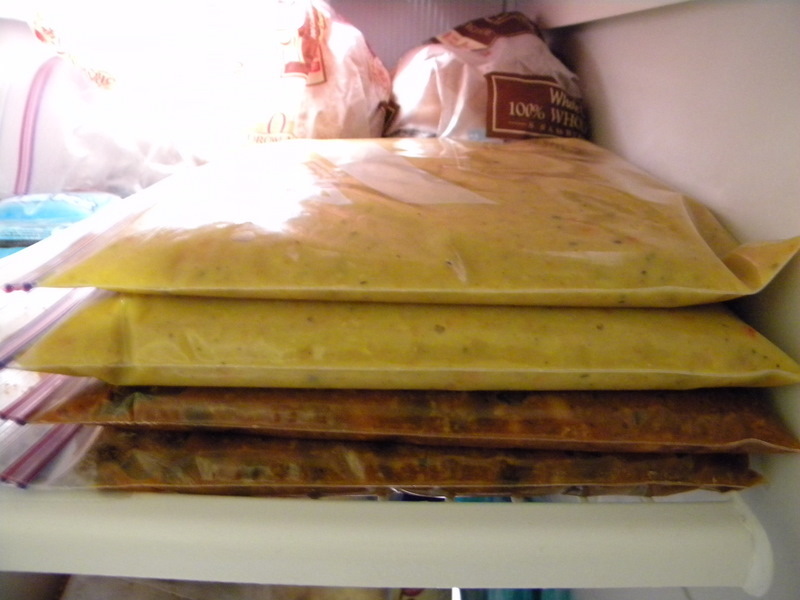 Plus, how fabulous that you can make it and freeze it . Love to have things like that in the freezer for those days I can’t or just don’t want to make dinner!